Thanks to its outstanding mechanical strength and excellent overall performance, the ABS plastic plays an important role in many industries that include plastic product manufacturing, electronics, machinery and building materials. Usually, in plastic product manufacturing, plastic decorative pieces that require electroplating also adopt the ABS plastics. 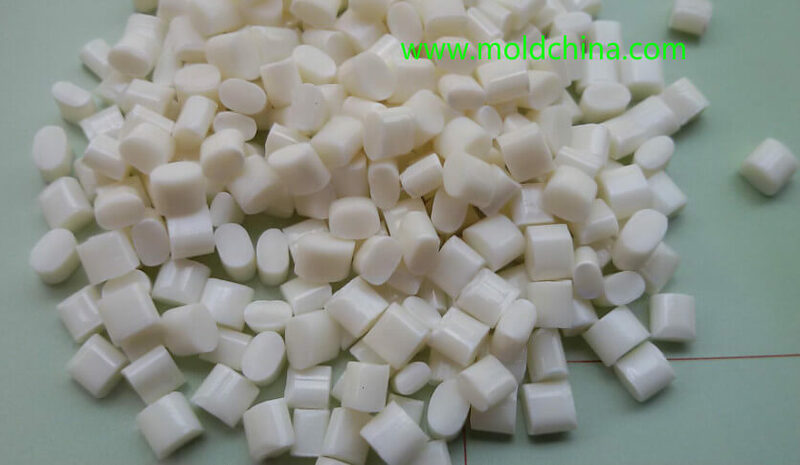 Generally referred to as the Acrylonitrile-Butadiene-Styrene Terpolymer, ABS is a terpolymer made by polymerizing styrene and acrylonitrile in the presence of polybutadiene. Due to the different proportions of the three compounds, ABS may show different performances and melting temperatures. When mixed with other materials or additives, the purpose and performance of ABS can be further expanded to a wider range, such as impact/heat resistance, flame retardancy, transparency, reinforcement and electroplating. Plastic product manufacturing often involves electroplating. Ranging between that of PS and PC, the fluidity of ABS has an influence on injection temperature and pressure, with the latter more greatly influenced. As a result, during the injection molding process, a higher injection pressure is often employed to reduce the viscosity of the molten ABS and thus improve the mold filling performance. Injection Molding Performance of ABS: Generally, the melting point of ABS is about 170℃ and its decomposition temperature is 260℃, with a wide range of adjustable injection temperature. During the injection molding process, the temperature often ranges between 180 – 240℃. Due to the existence of rubber, it is able to absorb a small amount of water, so it needs to be dried during production – dried for 1 – 2h in temperatures between 80 – 90℃; at the same time, due to its poor thermal stability caused by the existence of rubber, it tends to decompose, so it is better that the raw material does not stay in the barrel for too long during injection molding; though the viscosity of the molten ABS is higher than that of PS, it is able to completely fill the mold with average gates and sprues; the product often generates static electricity, which tends to attract dust and dirt; shrinkage rage is 5‰; and overflow limit value 0.05mm. which not only helps eliminate the firework-like bubbles and silver lines on the surface caused by moisture, but also facilitates plasticization, thus reducing color shading and cloud pattern on product surface. The moisture content in the raw ABS material needs to be kept under 0.13%. Pre-injection drying conditions: dry under 75 – 80℃ temperature conditions for 2 – 3h in dry seasons or winter; and under 80 – 90℃ temperature conditions for 4 – 8h in summer or rainy days. It will require a long time to dry the material, i.e. up to 8 – 16h, if the product requires excellent glossiness or features a complex structure. Due to the fact that the cloud pattern on product surface caused by the small amount of moisture is often ignored, it is better to convert the hopper of the machine into a hot wind drier, so as to prevent the dried ABS material from absorbing moisture again in the hopper. However, this type of hopper needs enhanced moisture control, as well as overheat prevention during occasional production interruption. The proportion of recycled materials cannot exceed 30%, while the application of recycled materials is not allowed for electroplating grade ABS. For the ABS plastic, the relationship between temperature and melt viscosity is different from that of other amorphous polymers. In the melting process with the temperature keeping rising, the melt viscosity actually drops in a very limited range. Once reaching the plasticizing temperature (proper processing temperature range, such as 220 – 250℃), if the temperature is kept rising blindly, the ABS material with poor thermal stability will definitely experience thermal decomposition, which may increase the viscosity, thus making it more difficult for injection molding, while affecting product mechanical properties. Therefore, though the injection temperature of ABS is higher than that of some other plastic materials, like the PS, it does not enjoy a more extensive temperature range as the latter does. For some injection machines with poor temperature control, when certain number of ABS products have been manufactured, yellow or brown coke granules, more or less, tend to be found on the product. Also, it is very difficult to resolve this problem by addition of new materials or means of empty shots. The reason is that the ABS plastics contain butadiene, so under high temperature conditions, when some plastic pellets firmly stick to some not-easy-to-cleanse surfaces, like screw slots, they will be prone to decomposition and carbonization if they are heated for too long. Since operation in higher temperature conditions may cause problems to ABS, it is necessary to control the temperature of each barrel section. Of course, different mold temperatures are applicable to ABS materials of different types and compositions. The temperature of a plunger injection machine is kept between 180 and 230℃, while that of a screw type injection molding machine is between 160 and 220℃. It is worth mentioning that the processing temperature of ABS is quite high, while it is very sensitive to the changes of various process factors, so it is of great important to control the temperature at the barrel front end and the nozzle part. It has been proved that any slight changes in these two parts can be reflected on the product. The more drastic the temperature change is, the more defects will be caused, including weld lines, poor glossiness, flash, product sticking and discoloration. The viscosity of ABS is higher than that of PS or MPS, so a higher injection pressure is required during the injection molding process. Of course, not all ABS products require the application of a high pressure. A lower injection pressure may be applicable to small, simple-structured or thick products. During injection molding, the in-cavity pressure level at the moment of gate closing often plays a critical role in defining the surface quality and the silver line defect level. A too-low pressure will lead to a high plastic shrinkage rate and create a bigger opportunity for the plastic to be released from the cavity surface, thus causing cloud pattern on product surface. If the pressure is too high, the friction between the plastic and the cavity surface will be increased, thus causing mold adhesion. For the ABS material, a moderate injection speed will bring about a great effect. If the injection speed is too fast, the plastics will be burnt or decomposed to separate out gasification products, so defects like weld lines, poor glossiness and plastic around the gate turning red, etc. will occur. However, when producing thin-walled or complex products, a high injection speed needs to be ensured, or insufficient filling will be caused. 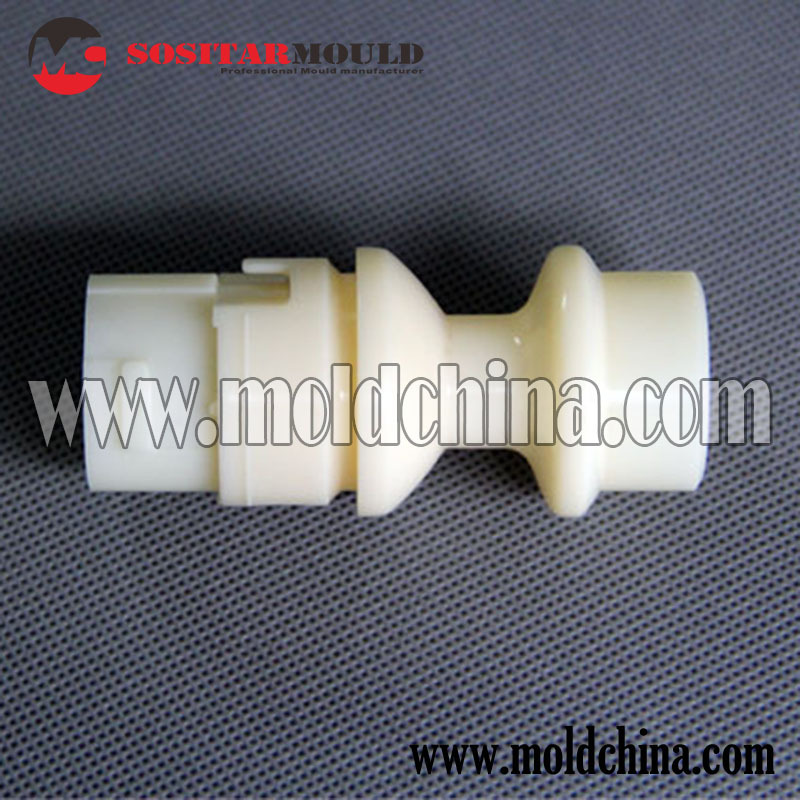 The injection molding temperature of ABS is relatively higher, and so is the mold temperature. Usually, the mold temperature is adjusted between 75 and 85℃. When manufacturing products with a large projection area, the cavity temperature is required to be between 70 and 80℃, while that of the core is between 50 and 60℃. When injection molding large, complex-structured or thin-walled products, it should be considered to heat the mold specially. In order to shorten molding cycle and maintain mold temperature stability, after the product is ejected, hot bath, cold bath or other mechanical molding methods need to be applied to compensate for the original cooling and molding time of the cavity. Usually, when injecting the ABS plastics, each shot size only reaches 75% of the standard shot size. To improve product quality, as well as dimensional stability, surface glossiness and an even color, the shot size is required to be 50% of the standard size. May select the standard injection machine (screw length-to-diameter ratio is 20:1, compression ratio greater than 2, and injection pressure greater than 150MPa). If masterbatch is used or the product has a high requirement for appearance, the screw of a smaller-size diameter can be selected. Clamping force should be identified as per 4700 – 6200t/m2, depending on the specific plastic grade and product requirements.